Y?ld?z Shipyard which is acceptable to work until 150 meter and has certificate of ISO 9001, with Maltese Falcon yacht whose construction finished last year was on the agenda. Maltese Falcon which has the record of being the longest vessel of the world with its 88 meters deck length, built by 200 workers during 3.5 years. 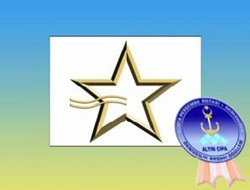 Alt?n Ç?pa (Golden Anchor) Jury find "Y?ld?z Shipyard" proper to award. Head of Arrangment Committee of IOPC-Fund Jose Maura (Left), Y?ld?z Shipyard on board Ruhi Demirören.